7″ wooden sticks in wooden box with slide cover. 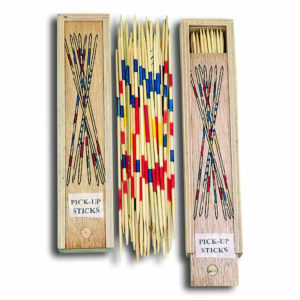 Classic game of pick up sticks in a wooden box. Small parts use supervision with young children. 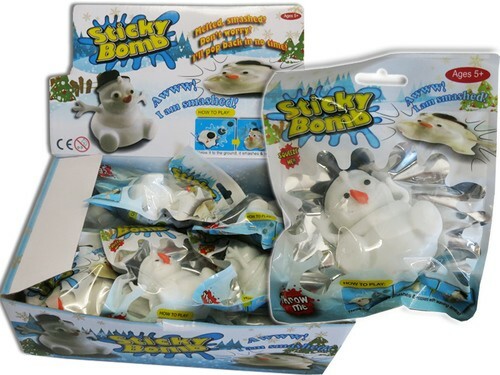 A fun sticky splat ball in the shape of a snowman.